Here at Rvinyl, we've built a company based on designing and manufacturing the best, most affordable and super unique custom interior accessories anywhere on the market. Whether you want to add a custom dash kit to your Suburban, wrap your Mustang's interior with a sticker bomb Rwraps® dash wrap or add some aggressive style with carbon fiber racing pedals, we've got something for everyone and at prices that won't have you spending your entire paycheck. If you're here and you're reading this you're clearly someone who has a love for upgrading, customizing and personalizing your car, truck or SUV so read on and see just how quickly we can help you turn your ride into the envy of your friends and the apple of your eye in the space of a single, Saturday afternoon! Sure, you could take your vehicle into the shop and have them wrap, paint, spray or dip your interior to get a custom look but who can afford to spend that kind of money? Get a better looking result at a fraction of the cost with a Benevento or Rdash® custom dash kit in any one of over 100 different colors and styles. If you want a true, factory look then your choice is simple: Benevento. With a history of providing OEM interior trim to companies like BMW and GM, you can put your faith in Benevento to design and manufacture a high-quality dash kit that will fit your interior like a glove. Every Benevento dash kit is designed using the most advanced CAD software on the market, laser cut for the utmost precision and then hand lacquered with protective, high-gloss poly resin for a beveled, luxury finish. Choose from great dash kit materials and finishes like genuine carbon fiber, burlwoods, ebony, brushed aluminum, chrome and dozens of others. If you're thinking of upgrading your car or truck's interior but are leasing or are simply worried about maintaining your resale value then an Rdash® custom dash kit may be just what you need. Rdash® dash trim kits are the thinnest on the market and feature a specially formulated, semi-permanent and pressure sensitive adhesive so you can apply now and safely remove whenever you want. Finally you can have your cake and eat it too. Best of all, with over a hundred different colors and patterns to choose from there's sure to be a style that expresses your personality while complementing your interior. 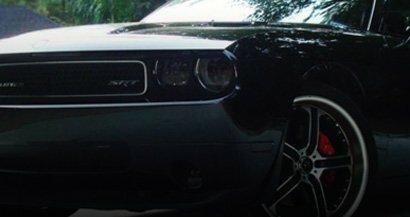 Rwraps® are made from the same great films as Rdash® trim kits which means you can buy them together for the ultimate custom look and remove them without damaging the surface of your interior. Sold by the foot and available in a variety of widths, you can get just the right amount of vinyl wrapping film so you don't end up buying more than you need! Rwraps® dash wraps are the ideal solution for anyone looking to update or restore an aging vehicles interior or for concealing damaged factory trim. Easy to install and great looking to boot you won't believe how much film you get for your money. Believe it or not, automotive window tint is actually an interior accessory! Despite the fact that, from an aesthetic perspective at least, window tint seems to look the coolest from the outside, there's just no question that it makes spending anytime in your vehicle literally much cooler and more enjoyable. Window tint is one of those rare accessories that both looks good and actually serves a purpose which is why we've spent so much time and effort making our Rtint® pre-cut automotive window tint kits so easy to order and install. We've recently updated our inventory and completely redesigned our ordering process so you know exactly what to expect. That's right, our unique graphical interface let's you order your pre-cut auto tint by selecting the image of your vehicle's tinted windows. Select 35% percent for your front windows, %5 for your back, skip your rear windshield and add a professional window application kit all by scrolling through pictures! It's so easy a child could do it but we still don't recommend giving them your credit card number. Even if you don't need precut window tint now we still think you'd enjoy seeing how cool and easy it is to order a DIY, precut auto tint kit for your ride. Of course, we also offer a stunning variety of other custom interior accessories for all types of cars, trucks and SUVs. If you've already got your interior trim figured out and have your windows tinted to perfection you'll want to turn your attention to all of the other components and parts of your interior. Whether you want to upgrade to a custom designed steering wheel, a shifter knob or boot that coordinates with your color scheme or racing seats we've got what you need here. Once you've got your interior looking just how you want it you need to keep it that way and we've got a full line of automotive accessories to help you do it. There's probably no other area of your vehicle that needs more protection than the floors and foot wells and for obvious reasons. Let's just say people don't even give it a second thought when they jump up into your car or truck with muddy boots so take the thinking out of the equation and protect your upholstery with floor mats or cargo mats custom fitted to your year, make and model. Has the damage already been done? No worries because we've got you covered on that count as well with a full line of replacement carpets made just for your ride.